Phil meets Michele Bachmann at a prayer breakfast in Ghana, Africa. 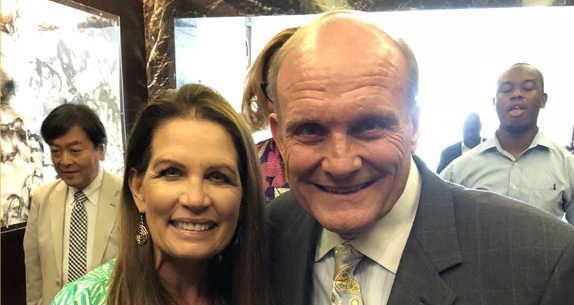 Former congresswoman Michele Bachmann is well known for her strong stance on Christian issues. She is a former member of the United States House of Representatives, who represented Minnesota’s 6th congressional district from 2007 to 2015.